Helen from Journal With Purpose bullet journals in a Rhodia Goalbook which she uses in a traveler’s notebook style cover along with a Rhodia Dot Book. You can see her setup in her Plan With Me April 2019 video. You can see her monthly calendar page (where she lists monthly tasks and tracks social media), her Habit Tracker page, her categorized Master Task Lists, Reasons to be Proud, and Notes pages for the month. She also shows us her new spring dashboard, and briefly flips through her Rhodia Dot Book where she keeps samples, pen tests, and project planning. And shows us how she makes her tabs! She also shows us the new weekly layout she’s been using for March. See Helen’s entire Plan With Me April 2019 video here! You can find the Rhodia Goalbook here and the Rhodia Dot Book here. 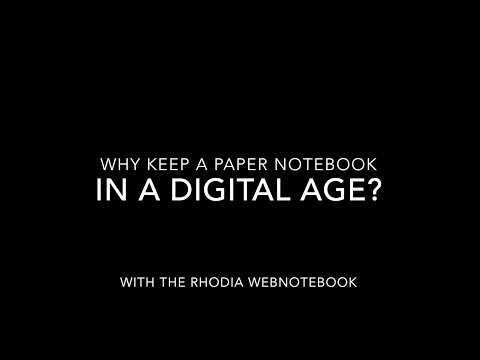 To see the entire lineup of Rhodia dot grid notebooks and writing pads, click here.